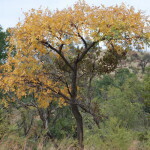 The edible fruits of Sclerocarya birrea and the multiple uses associated with almost all parts of the marula, make it one of southern Africa’s most valued trees. It is the largest succulent in the world. The edible fruits of Sclerocarya birrea and the multiple uses associated with almost all parts of the marula, make it one of southern Africa’s most valued trees. Sclerocarya birrea is one of the plants that played a role in feeding people in ancient times. Plant in a well-drained soil and do not overwater.